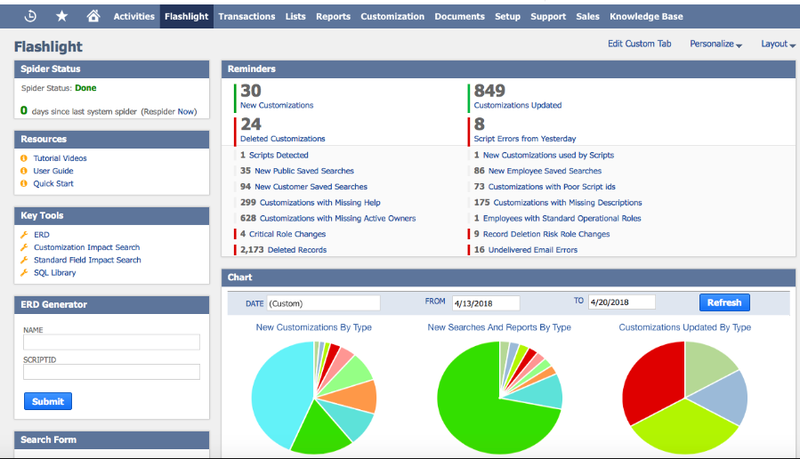 How well documented is your NetSuite? Find out how much more you could get done with perfect system documentation. Start with a 14 day free trial of Flashlight. Just $299/month thereafter. The documentation you have always wanted but never had time to create. Everything. Easily see searches and other customizations with inactive owners that can be safely archived or deleted. Optimize your system by cleaning up things no longer used or relevant. Quickly identify employees with inactive logins, risky permissions or unexpected login behavior or who have recently received admin access.